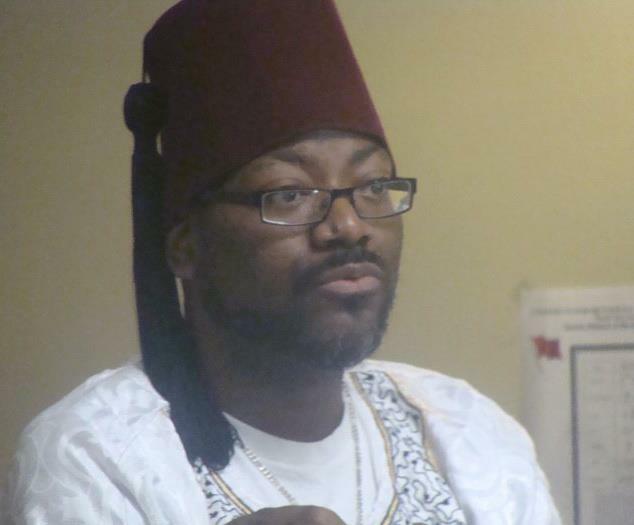 Dr. Alim EL BEY will come to your city for free. All you have to do is pay for his accommodations (via HOTEL STAY) TRAVEL (PREFERABLY THE train) for Himself and Khadirah his divine mate. We will come and build on any topic your cipher (GROUP) dealS with. Book an Event in your area today by calling 9103649099 and speak to Khadirah. Would you like a Consultation with Dr. Alim El-Bey? Simply put forth a donation (freewill offering) at http://www.dralimelbey.com/donation.html. Dr. Alim El-Bey is one of the top Meta-physicians in the World, holds a Doctorate in Metaphysics (D. Meta) and is a Metaphysical Minister. He is a Spiritual Counselor-Life-Coach. He is a Natural Health Consultant, a licensed Naturopath, a Master Herbalist, a degreed Iridologist, a Pranic Healer instructor, a Chi Kung (Qi Gong) and Tai Chi instructor, a Tantric Kriya Yoga practitioner, a Usui, Tibetan and Seichim Master Teacher, as well as, he is an Indigenous Aboriginal Lawyer, Judge etc... You can gain quite a bit of knowledge, wisdom and understanding from your interaction with Dr. Alim El-Bey. Therefore, if you have questions on health issues, or indigenous law matters... Also, as the co-founder of the Healing Wings Institute, he offers phone, Google Hangout, Skype Oovoo, and etc, consultations, health evaluations, meditations, visualization methods and breathing techniques. Therefore, call for your appointment and Khadirah El-Bey, B.S., A.D.D. will set a time that is good for both you and him @ 910-364-9099. YOU COULDN'T HAVE A GREATER TEACHER!!! president Dr. Alim El-Bey, m.h., nhc. and c.e.o. Khadirah El-Bey, m.h., nhc., of healing wings institute are both master herbalists and certified natural health & HOLISTIC consultants. Natural health consultants provide information and education to people seeking alternative forms of healing and treatment. Ideally, a natural health consultant has a broad understanding of a variety of natural health disciplines and may recommend a specific approach of alternative healing to a client. A natural health consultant is a professional who has extensive knowledge about natural health, herbs, vitamins, minerals, and nutrition etc... therefore, to set up an appointment to visit the healing wings institute for alternate natural & holistic treatment call @ 910-364-9099. thank you! (note: the healing wings institute is the educational branch of the moorish holy temple of science of the world). You may use the button below for a consultation, via phone, or google hangout.